Hawks wait for NPA directive on Guptas - SABC News - Breaking news, special reports, world, business, sport coverage of all South African current events. Africa's news leader. The Gupta brothers Ajay, Atul and Rajesh relocated to South Africa from India in 1993. 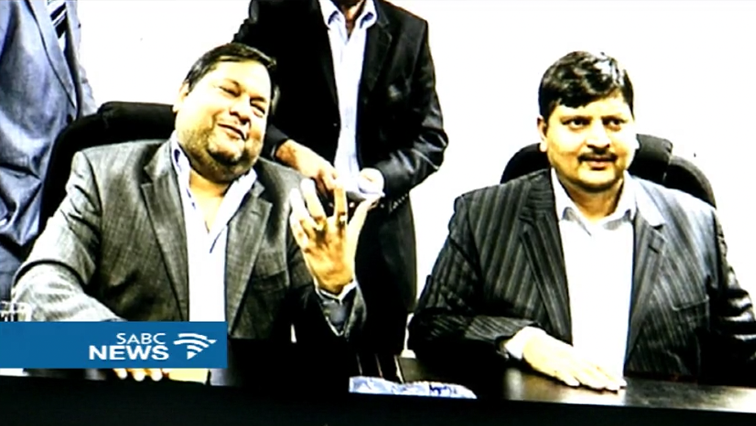 The Hawks have denied claims that the arrest of the Gupta brothers is imminent. A local newspaper reported that the Hawks had obtained a warrant for the arrest of at least one of the brothers. Hawks spokesperson, Hangwani Mulaudzi says they are awaiting a directive from the National Prosecuting Authority (NPA). The Asset Forfeiture Unit (AFU) has already taken action against two Gupta-linked companies – Trillian and McKinsey – hoping to recoup R1.6 billion in assets related to consultancy work done by the companies for Eskom and Transnet. The Gupta brothers Ajay, Atul and Rajesh relocated to South Africa from India in 1993 at the dawn of democracy – when the country was seen as a land for opportunities. Previously small-scale businessmen in India, they built a sprawling empire with interests in computers, mining, media and IT. They were all housed under the listed entity Oakbay, and their mining asset, Shiva Uranium looked forward to the consummation of a nuclear deal. They also developed close links with the ruling African National Congress (ANC), and particularly with President Jacob Zuma, well before he became president in 2009. The Guptas’ relationship with President Jacob Zuma often made headlines… members of the President’s family were employees, shareholders and former directors of the Gupta firms. There has been deep concern that the Guptas enjoy inside knowledge of cabinet and executive appointments, and allegedly have influence over the appointment of the heads of state-owned enterprises and cabinet ministers. As such, they are the subject of the Public Protector’s State of Capture report, from which a judicial commission has been set up, after much legal back and forth. According to a letter submitted to the Public Protector’s office, included in the State of Capture report, total revenues from their business activities for the 2016 financial year amounted to R2.6 billion, with government contracts contributing a total of R235 million of the revenues. In 2016 Atul Gupta was listed among the Sunday Times richest list worth R10 billion. The Gupta family businesses had a fall out with the banks when their accounts were closed. The controversial family made headlines again when they landed a chartered aircraft, carrying Indian politicians and 300 guests at Waterkloof Air Force Base for the Gupta wedding at Sun City in 2013. This was followed by another controversy when the New Age televised business briefings that were sponsored by state-owned enterprises. Reports say State Owned Enterprises like Transnet forked out R17.5 million for 18 breakfast sessions, while Eskom paid R7.2m to sponsor six sessions. It was also reported that Telkom sponsored 12 business breakfasts to the tune of R12m in the 2012/13 financial year. And in a series of the Gupta leaks emails, it emerged that global consultancy firm McKinsey lined up a R9.4-bn bonanza from Eskom with the help of Gupta-linked Trillian Capital Partners. The emails also show that after Eskom cancelled the consulting engagement in July 2016, it also paid Trillian R565 million. This was without any contract in place, but on the basis Trillian was McKinsey’s empowerment partner, though McKinsey and Trillian had already parted ways. Now the Pretoria High Court has authorised the freezing of R1.6 billion in assets earned by global consultancy McKinsey and Trillian. The court made the decision in December, after a request by the NPA to freeze the fees earned by McKinsey and local consultancy Trillian for advising Eskom. Meanwhile, some of the political parties welcomed the decision by the Asset Forfeiture Unit to freeze the Gupta family assets. The NPA’s forfeiture unit served a summons to preserve the Gupta’s assets which are worth billions of rands. This entry was posted on 16 Jan 2018,09:55PM at 9:55 PM and is filed under Business, Homepage Latest Stories Slider. You can follow any responses to this entry through the RSS 2.0 feed. Both comments and pings are currently closed.